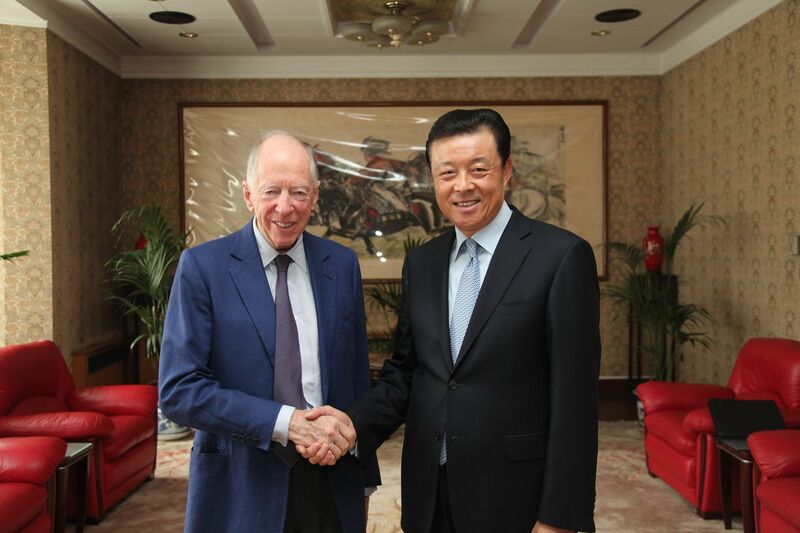 On 14 July, Chinese Ambassador Liu Xiaoming met with Lord Jacob Rothschild, a renowned British financier and Chairman of RIT Capital Partners PLC. The two sides exchanged views on China-UK financial cooperation. Ambassador Liu said China-UK relations have entered a new period of rapid and comprehensive development. He hoped that the British financial community will seize the opportunities, bring out its potential and further expand cooperation with the Chinese side in finance and infrastructure investment. Lord Jacob Rothschild said that all social sectors in the UK attach importance to developing relations with China. The financial sector in particular is fully confident in the prospects for China's development. The British side is willing to work with China to enhance financial cooperation, expand mutual investment and achieve win-win outcomes.